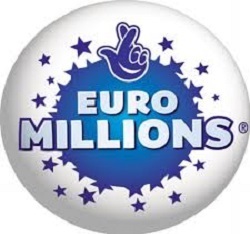 EuroMillions is no doubt one of the largest lottery organizations in the world. This being said, they’ve also paid out some of the biggest jackpots in lottery history. Seeing as how every player loves to envision winning a huge prize and getting rich, let’s take a look at some of the biggest EuroMillions jackpots in history. Just two years after its inception, EuroMillions paid out a massive €183 million jackpot to three players. Two of the lucky players were from France and one was from Portugal; all three received around €61 million. 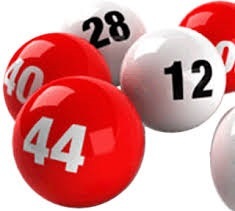 After the EuroMillions jackpot had rolled over 11 straight times, the 12th drawing was automatically divided up among 20 players who matched five regular numbers and one Lucky Star. The €183 million was divided among these 20 players, and each winner also received the second tier prize for matching five numbers and a Lucky Star digit (€9.6 million total). While there had been plenty of €100 million-plus jackpot winners between 2006 and 2011, it’d been a while since EuroMillions had seen a record winner. However, Colin and Chris Weir changed all of this in 2011 when they captured the biggest EuroMillions jackpot ever. The Largs, Ayrshire, Scotland couple has since become celebrities throughout the UK and have made some very charitable donations with their windfall. The latest massive EuroMillions prize happened in the fall of 2011 when an anonymous French player matched all five regular numbers and both Lucky Stars. Seeing as how there was only a single ticket holder, the France resident received the second biggest individual payout in EuroMillions history.